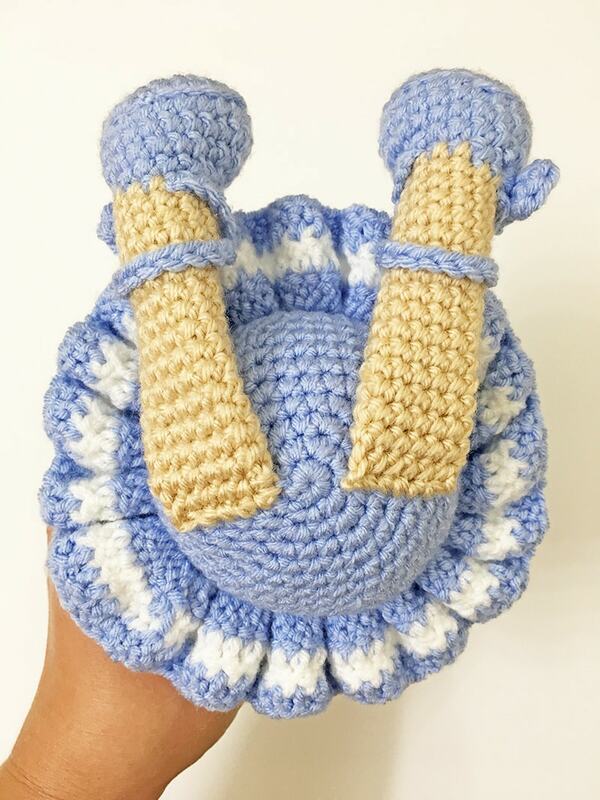 I'm so excited to share this pattern with you! 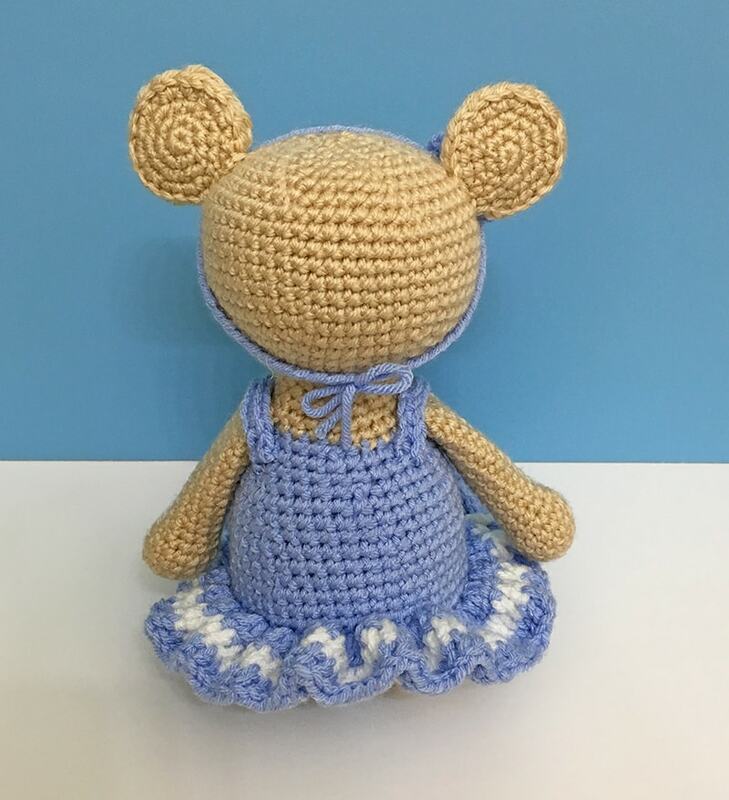 This kind little ballerina mouse is part of a new trio. 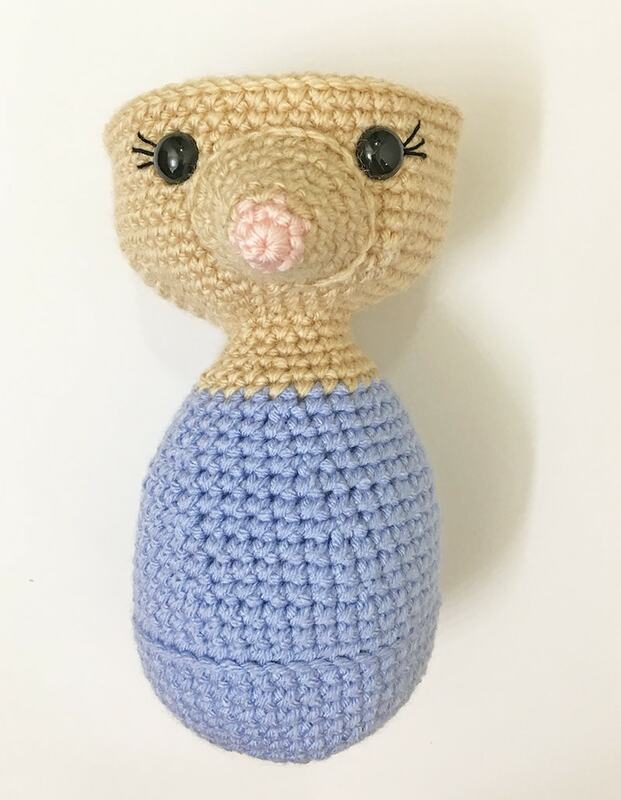 She was designed with my youngest in mind, her birthday is next week and I wanted to make similar characters from her favorite book! 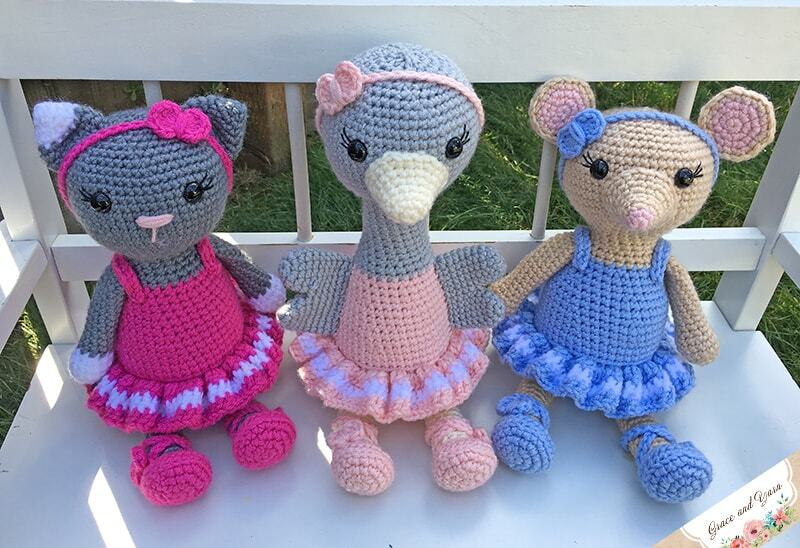 Head over here to learn more about the inspiration behind this trio and to find the patterns for the ballerina ostrich and kitten! 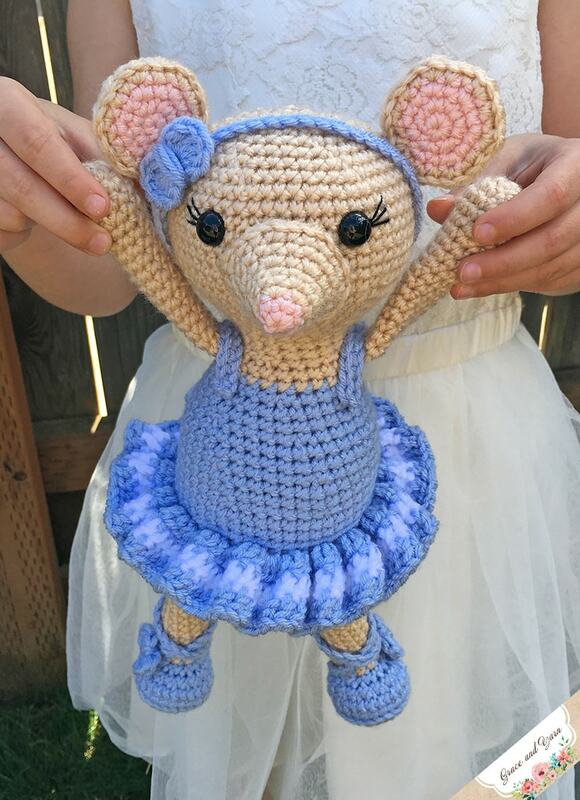 The ballerina mouse is made on a smaller scale than some of my other designs. She's 9 inches tall when in a seated position. With her small size I have kept the body and head as one piece! Feel free to change up the colors to your liking! - Get an ad-free printable version on Etsy, includes all 3 patterns! - Add to your Ravelry queue! Sew the nose on evenly between the eyes, stuff lightly before closing. To work the tutu, have the head towards you and body away from you (see pictures for example). At the end of round 18 pinch the arm flat and make 5 SC across the top to close, fasten off and leave a long tail to sew onto the body. At the end of round 24 pinch the leg flat and make 6 SC across the top to close, fasten off and leave a long tail to sew onto the body. With color of choice, make a chain until it reaches around the leg, crossing at the front. Tension and stuffing can vary from person to person and this number may be different for some. As a reference my chain was 26. Fasten off leaving about 6 inches to sew onto the slipper. Working in a magic circle make 4 DCs, slip stitch, 4 DCs, and slip stitch again, pull your string tight and wrap it around the middle of the bow 3-4 times. Tie/secure in the back and cut your string leaving a long section to sew with. Make a chain long enough to fit around the head, my chain came to 48, fasten off leaving a long tail to sew with. Working in a magic circle make 7 DCs, slip stitch, 7 DCs, and slip stitch again, pull your string tight and wrap it around the middle of the bow 3-4 times. Tie/secure in the back and cut your string leaving a long section to sew with. 2. Next, sew on the headband and bow. I placed the headband where I wanted it and sewed it in place, I had enough remaining yarn from my tail to tie a bow at the back. 3. Attach the arms onto the body at round 26, next sew each strap over the arms. I attached at round 24 on the front and back. 4. 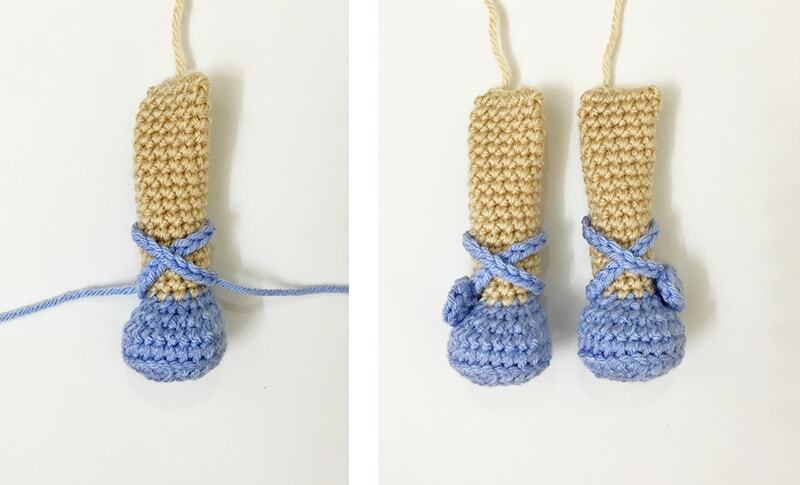 Attach the “ribbon” for the slippers to each leg. I attached to one side, wrapped around the back to the front to create an “x” and secured to the other side of the slipper. 5. Sew each bow onto the outsides of the slippers. 6. 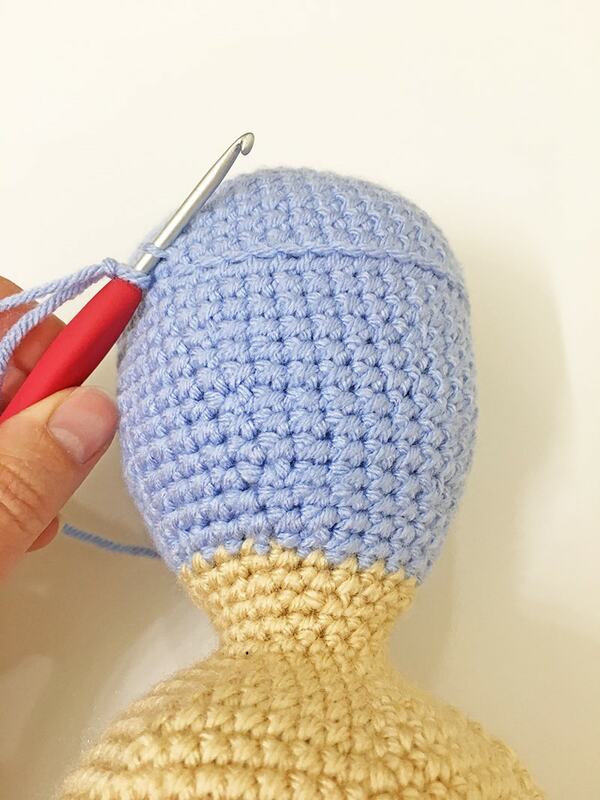 Sew the legs onto the bottom of the body, making sure to keep them centered with the facial features. 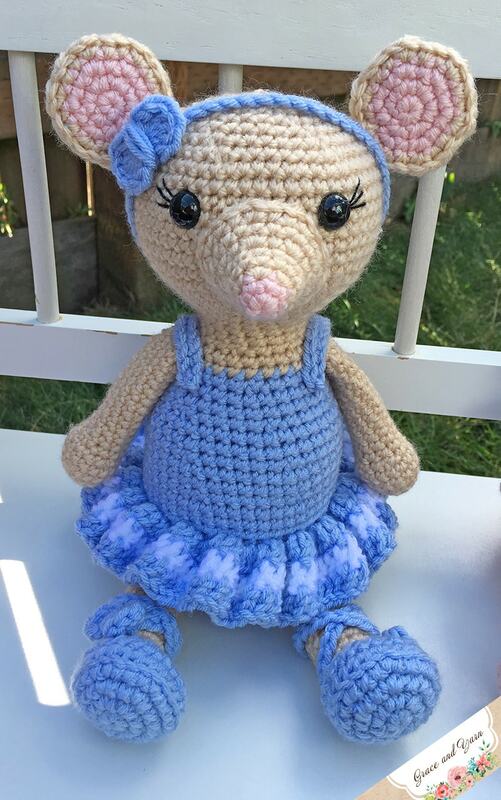 Your ballerina mouse is complete! I hope you have enjoyed making this pattern. Let me know if you have any questions with this pattern or any of my other patterns, I would be happy to help.